Step 1 In the bowl of a food processor fitted with a blade, add the jalapeno, garlic and salt. Coarsely chop. Step 2 Now add cilantro, parsley and spices. Run processor until a finer thick paste forms. Step 3 Transfer the cilantro paste to a bowl. Add the olive oil and lemon juice. Stir to combine. Enjoy! Zhoug is a lesser known Mediterranean sauce, but a must-try! 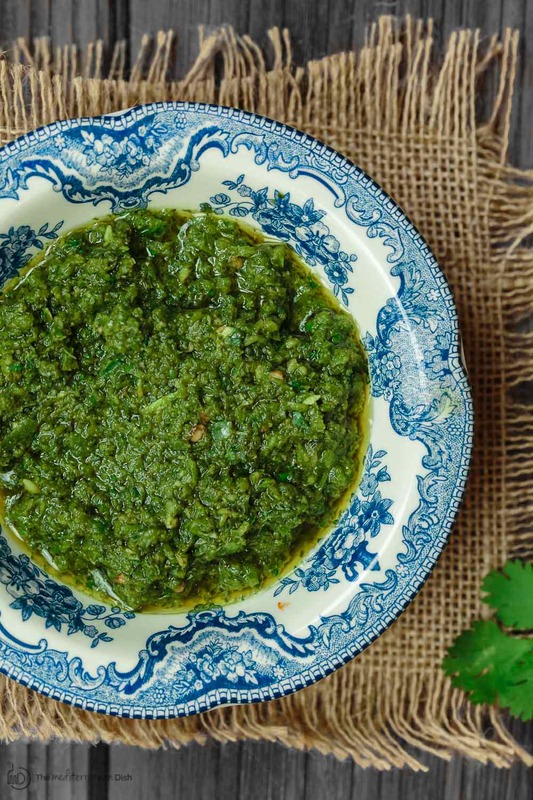 Think spicy, fragrant, cilantro pesto…kinda.